Want to know more about the Urban Wild Proposal? Head on over to the Facebook Page and give us a “Like”. You’ll get updates on your News Feed and can find out more about our progress. Click here to read my Guest Editorial originally published in the Seattle Times. Or, contact me at denise@dahndesign.com. 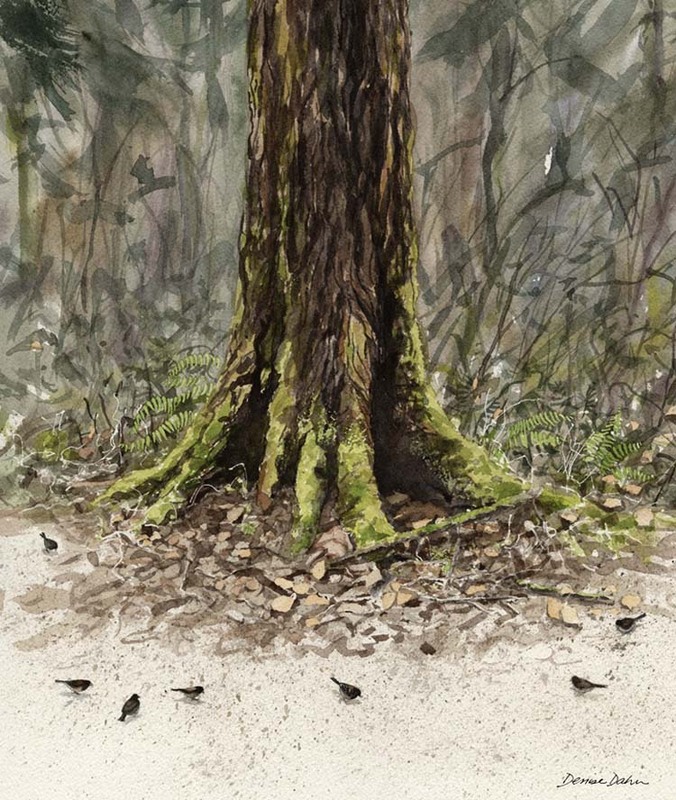 A watercolor I did of a mature Douglas Fir and some Oregon Juncos.